Home / Other Political News, Politics / Here is the name of city billionaire who is being hunted by DCI GEORGE KINOTI for evading tax worth Sh 3 billion – He has been killing Kenyans to make money! Here is the name of city billionaire who is being hunted by DCI GEORGE KINOTI for evading tax worth Sh 3 billion – He has been killing Kenyans to make money! 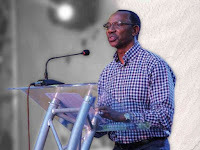 Saturday February 9,2019 - Director of Criminal Investigations(DCI), George Kinoti, has urged his boys to widen their net and arrest city businessman, Humphrey Kariuki, for evading tax worth Sh 3 billion. Humphrey Kariuki is the owner of Africa Spirits Limited that was raided by DCI and Inspector General of Police, Joseph Boinett. During the raid on Friday, detectives seized fake and counterfeit products worth Sh1.2 billion. “We found about 21 million counterfeit stamps at the factory. That means the commission would have lost Kshs1.2 Billion. In one production shift, the amount of tax lost is about Kshs93 Million,” KRA commissioner Githii Mburu stated. According to reports, Kariuki and other top managers vanished when they learnt that sleuths from the DCI and the police service had raided their company. “I have dispatched 20 CID officers to hunt for this criminal and his accomplices and bring them to justice,” Kinoti said on Saturday.